Directors Pa.Ranjith and Karthik Subbaraj share a good rapport that everyone knows about. 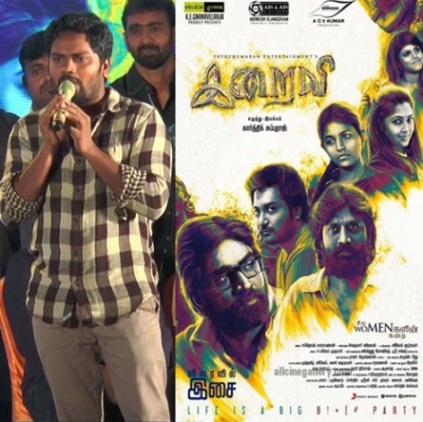 Pa. Ranjith was also seen in Iraivi's Press Meet a few days back. As much as he is busy with Kabali's release, he took time to his twitter account recently to praise Iraivi. He posted "#Iraivi... I really enjoyed the experience.. An outstanding film by @karthiksubbaraj.. congrats team... magizchi!!!" It should be noted that Iraivi was recently appreciated by Director Ram and many other noted film makers. People looking for online information on Iraivi, Karthik Subbaraj, PaRanjith will find this news story useful.